What is Angular Material ? Angular Material is a package/ tool for angular developers, It contains a set of high-quality UI components based on Google Material Design Concept. Here we will demonstrate the use of Angular Material Components with practical examples rather than like the official documentation. You can see the component-wise Angular Material documentation here : https://material.angular.io. In upcoming articles we’ll cover angular material datatable – sorting, paging and filtering. pop up, notification, etc. Create new angular project with following Angular CLI command. Install Angular Material and related packages. First we have to add theme stylesheet into styles.css. In this application, we’ll deal with details of an employee – Full Name, Mobile, Email, City, Gender, Department, Join Date and Type of Job. Let’s start with creating components : employees (parent component) and employee (child component). 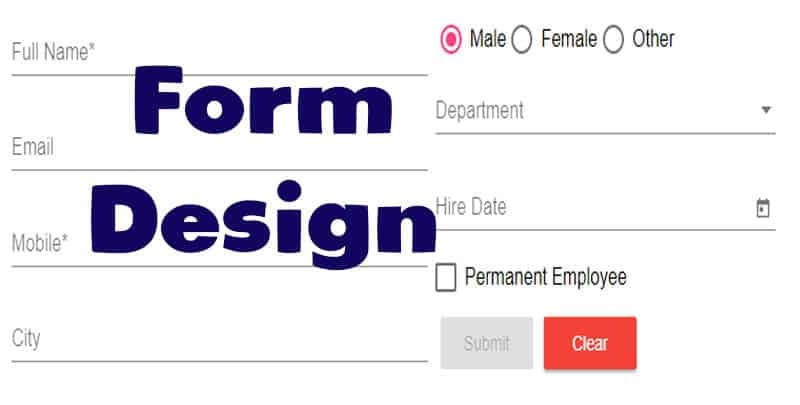 We’ll design the form using Reactive Forms approach, so first we have to define form group for angular material form in employee.service.ts as follows. We have initialized the form group property with properties related to employee. Inside FormControl constructors we have passed default values for each control. $key will be used as primary key for each employee record. Now we have to inject the service class in app.module.ts as follows. We’ll design the CRUD form in employee component. 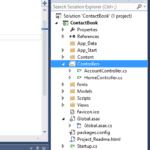 so first inject the service class in employee.component.ts file. Now update employee.component.html as follows. Inside this form we have few angular material components. In-order to work these material components we have to import corresponding classes. For that I’ll create a separate module. Now import this module inside default module – app.module.ts. Along with that we have imported animation module – BrowserAnimationsModule, which is a must for angular material component default animations. Inside the form html, we have shown the dropdown from a static array, It is defined in EmployeeComponent class as follows. 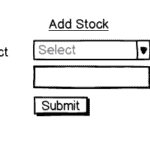 In-order to implement the validation, we have to update the form group in service class. In-order to show validation error indication, we have to update corresponding control html as follows. Wire up click event to clear button as follows. Define the click event as follows. reset function will clear all controls, but we have to the primary key($key) value as before. Because we’ll be using this same employee form for insert and update operation. we want to keep the $key value during update operation so that’s why we have this extra work for $key. initializeFormGroup function reset the controls to their default values . It is defined in service class as follows. Now in-order to see these changes, we have to update app.component.html and employees.component.html. Now update the styles.css as follows. /* This fills the remaining space, by using flexbox. In the next part we’ll implement firebase CRUD operations with this form, before that we will convert the static department dropdown to dynamic using firebase collection. 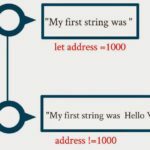 GitHub link is given in both article and in YouTube video. I’m making an app by following your tutorial but got struck at form edit option. I’m not able to populate form value in edit mode in popup. Kindly help me out !!!! Your work is great. The YouTube videos are very helpful. Would you mind adding in routing and some cool query examples using Angular 7 & firebase?